What is the ZX-Uno? Essentially it is a fan-made clone of the ZX Spectrum hardware, set to offer retro gamers an alternative to getting their 8-bit game-on. The ZX-Uno has no release date just yet, the official website shows the hardware is already at quite an advanced stage of development . The FPGA based board not only behaves exactly like a ZX Spectrum, but also offers several new features the micro-computer could only dream of having. Coming equipped with an SD Card slot, gamers will be able to load .TAP files directly into memory for use on the system – allowing easy access to the likes of Jet-Pac, Manic Miner and just about everything else. Designed to fit inside a Raspberry Pi case, the ZX-Uno also offers a rather snazzy audio-in 3.5mm jack port, allowing those who really want to stay true to the hardware the ability to boot up original cassette tapes. 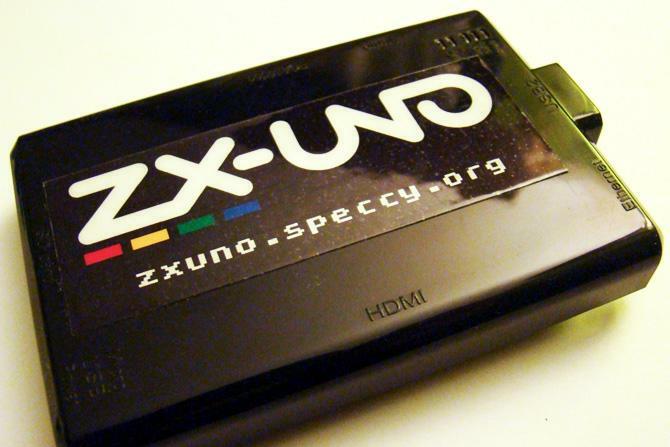 According to the team behind this device, the ZX-Uno is estimated to cost a mere 30 Euros. So should you be a fan of the British micro-computer or need a good alternative to the dated hardware, keep a close eye on the ZX-Uno.